The final date is today, and is very nearly an entire month earlier than the date the precedes it. These are not random dates, they are significant dates. 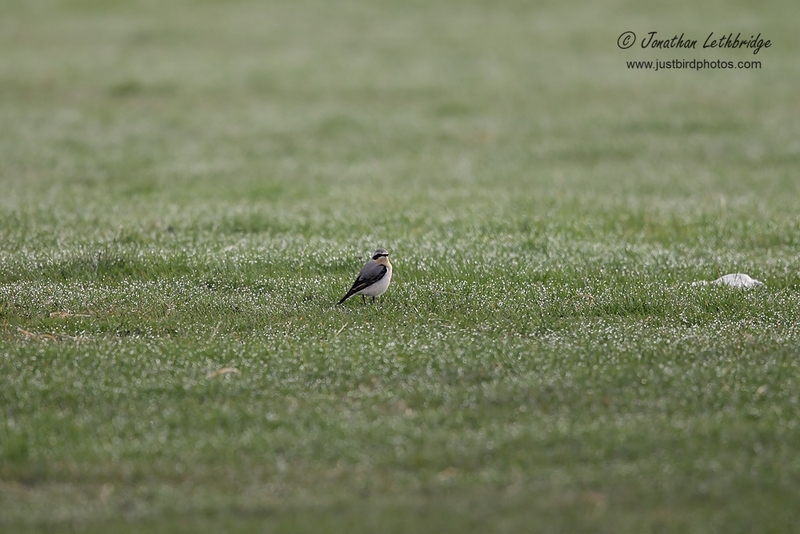 Very significant - they mark - of course - the dates when I saw my first patch Wheatear over the last few years. I am not quite sure what happened last year, but statistics never ever lie. Leaving this aberration aside, the 11th March is nearly a whole week earlier than the earliest I've seen Wheatear in Wanstead. So naturally for someone as nerdy as my good self this is extremely exciting news. I was with Tony - the last few Saturdays it has just been the two of us (he would be lying if he said he didn't look forward to this tryst), the rest of the gang seem to have slacked off somewhat. We had done an unproductive circuit from around half six and seen very little. A second go was merited, so crossing the road back to the brooms we trundled on. A few Skylarks, various Mipits and Song Thrushes. And then it happened. 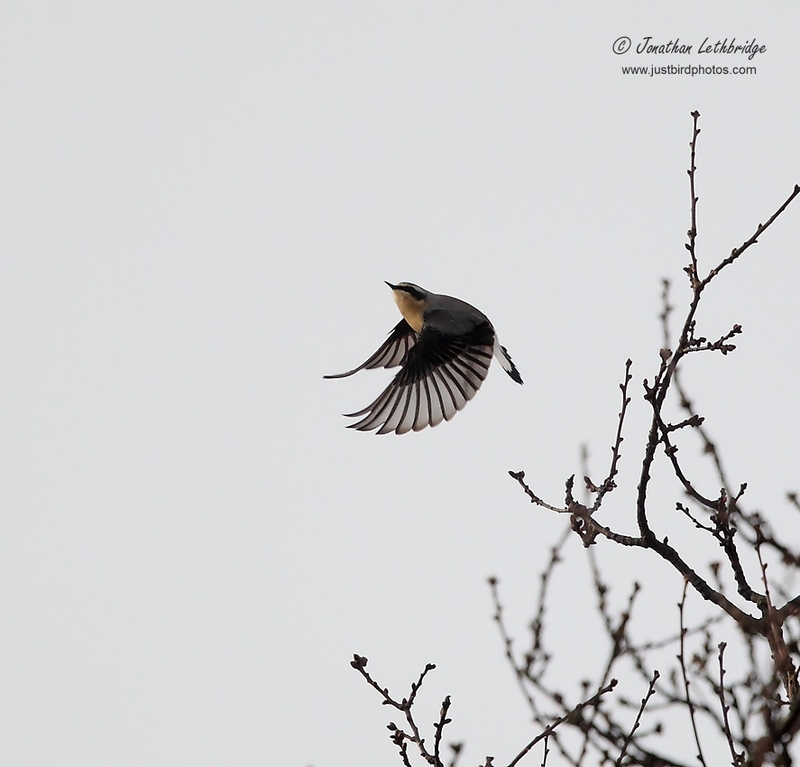 A bird with a very different flight bounced over, moving away rapidly. The ever-sharp TB called it tentatively as a Wheatear, and as it headed into the top of the Coronation Copse it appeared he was right. I thought I detected a white rear end despite the high contrast, and when we noticed a man who later resolved into Rob S waving at us and pointing at the same treetop we knew we were in. A smart but highly wary male, and on the exceedingly early date of 11th March. This is karma. I spent a lot of yesterday gazing at photographs of Wheatears. Wondering. Hoping. Salivating. And today was the day. Thankfully I got up and got out there, this was the moment I wanted to be present for. So here it is in all its glory. Friendly it was not, but you can't have everything. Spring has well and truly started. Tony, Twitcher-Bob and I discussed a possible retreat until late August until the Spotted Flycatchers turn up, but I suspect we'll be out again very soon hoping for more. This is just the beginning.